Reports on the health benefits of turmeric have been hitting the headlines of late from different quarters of the world especially from high ranking magazines, health websites, doctors’ shows and medical journals. As usual when such news about the healing properties of a certain plant or herb are “rediscovered”, if I may use that word, by modern medicine or research the sale of supplements of the herbs, spices and or plants tend to hit the roof. Most people would rush to buy these supplements without even knowing how the herb or plant works in the first place. For that reason therefore, this article is dedicated in elaborating what is behind turmeric’s success in combating diseases. 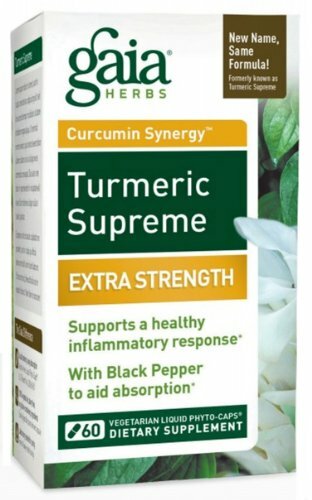 After the careful study of reports and “stories” concerning the health benefits of turmeric, of course scientist set out to study what was behind turmeric’s healing power and they discovered that the presence of the chemical compound curcumin is what gives turmeric its medicinal properties. This compound, apart from many other properties, also has anti-inflammatory, anti-viral, antibacterial and antifungal properties just like allicin that is present in its cousin garlic. It’s important to note that garlic shares a lot of medicinal similarities with turmeric. From the results of the studies conducted by researchers on the health benefits of turmeric, it was also discovered that in order to make the curcumin supplements readily absorbable by the body, they had to include a coating that protects the supplement from the stomach acid. This was after the researchers realized that only a very small amount of curcumin is usually absorbed by the body when taken as supplements. It is for this reason that curcumin that is administered to patients who are helping with research concerning the health benefits of curcumin on cancer, alzheimers and the like are usually given intravenous solutions of curcumin. Now this is not to say that the oral supplements of curcumin do not work, but I was trying to stress the point on why the oral curcumin supplements contain an enteric coating that protects it from the harsh conditions of the stomach. Also to overcome this shortcoming of curcumin poor absorption by the blood stream when administered orally, piperin is also added to the supplement. Piperin is a compound that is readily available in black pepper and 20-30 mg of this compound is added to the curcumin to aid it’s absorption by the blood stream. Piperin goes further to aid the absorption of curcumin by as much as two thousand percent. Now that you know the secret behind turmeric health benefits, let’s take a look at some of the diseases that curcumin is going to keep at bay. The curcumin that is present in turmeric helps to minimize the effects of Alzheimer’s diseases which is usually aggravated by plaque which brings about the negative effects of the disease. 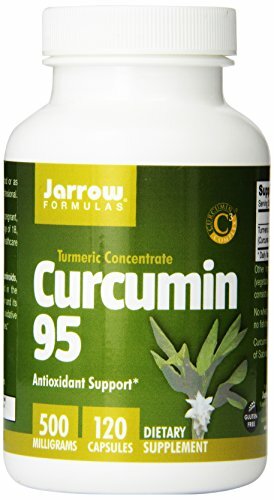 Curcumin also stimulates the birth and growth of new brain cells hence greatly reversing the impact of the disease if not getting rid of it for good. Since the curcumin found in turmeric has antibacterial properties, then it goes without saying that turmeric can be used as a disinfectant. In fact, it has been used for ages, before the advent of modern medicine, as a treatment to burns and cuts. Curcumin that is found in turmeric dissolves the plaque that clogs the arteries. When arteries are clogged, a chain reaction of activities begins to take place. First of all, the heart works overtime to deliver the correct amount of blood to the organs. This leads to high blood pressure and may also result to the heart enlarging and being weak in the process. The other thing that happens is that one may suffer from stroke if the condition is not checked and may also be more prone to heart attacks. Good cardiovascular healths, by taking curcumin, will therefore mea that you don’t suffer from these conditions. Curcumin has been proven to be capable of fighting cancer cells. If taken on a regular basis, either orally as supplements or as a spice in your day to day food, turmeric will eliminate cancer from your body. Turmeric’s secret in treating cancer lies with the presence of polyphenols, phytochemicals, anti-carcinogens and antioxidants. Like I had mentioned earlier, turmeric is a powerful anti-inflammatory. It is for this reason therefore that is usually used in treating arthritis, osteoarthritis and other inflammatory diseases with ease. Just include it daily in your diet and it will keep arthritis at bay. Free radicals are formed from unstable oxygen molecules and if they go unchecked, they are likely to do tissue damage. Free radicals damage tissue by oxidizing them so it is important that they are removed from the body. Clearly turmeric has numerous health benefits, and if you can use it, what are you waiting for? There are clearly a whole bunch of supplements from different manufacturers across the globe and it might be a little bit confusing for you to know which one would be the best for you to pick. To make it easy for you however, I would suggest that you pick a supplement that contains a mixture of piperine, curcumin and, but not mandatory, one that also comes with vitamins and various nutrients in them. Having one that comes with a combination other minerals, vitamins and the rest is good not only for your pocket, but also in making it les of a hustle to take to many pills in any given day. Supplements are there to make you feel healthy and not feel like a sickly. So there you have it, the health benefits of turmeric and how to maximize the effects of curcumin in your body. Very good information....Thank you I am wondering though, do you know of any culinary recipes that incorporate the appropriate amounts of Turmeric for daily consumption? With my family history it seems Turmeric would be a fantastic addition either to our diet or by supplement.